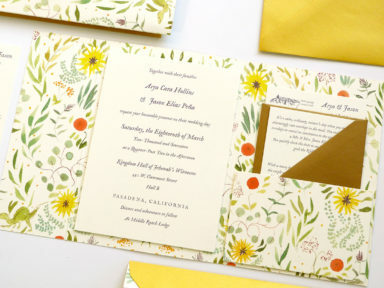 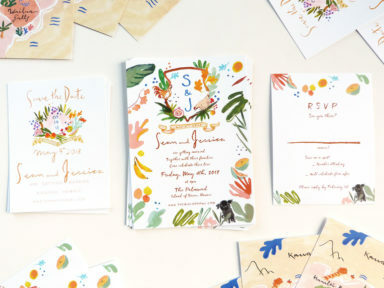 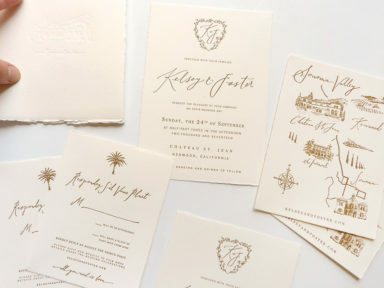 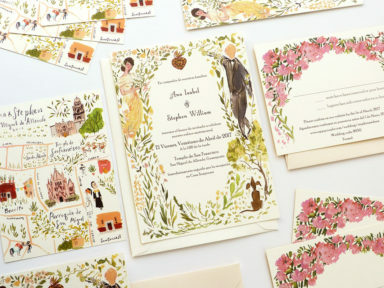 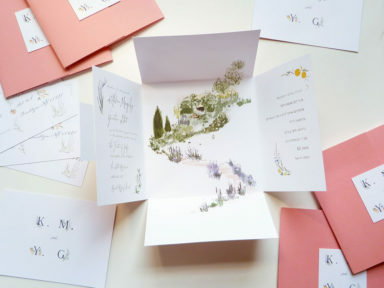 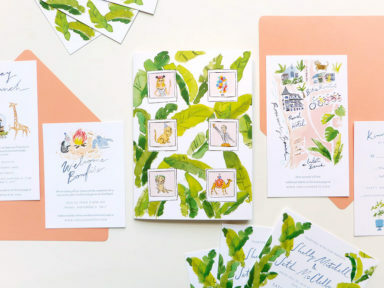 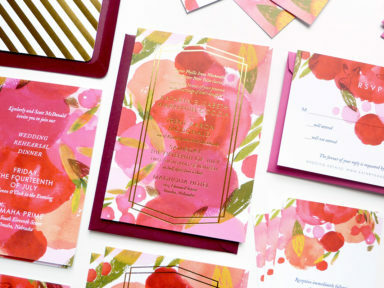 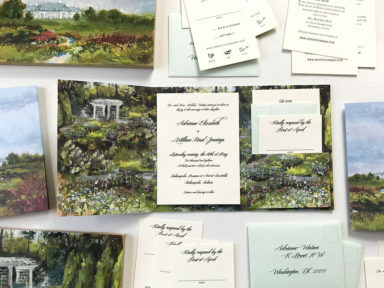 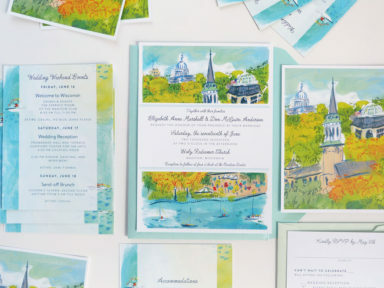 Bright and colorful stationery for Brit and Spencer. 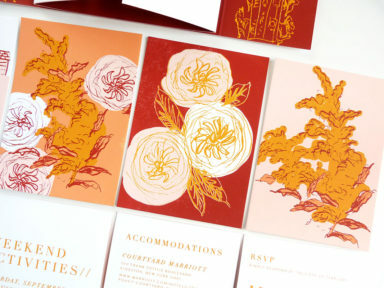 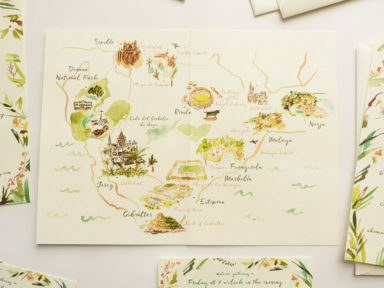 We created a Save the Date, invitation and RSVP. 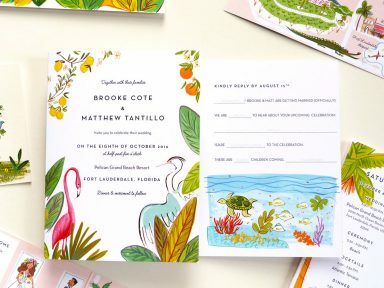 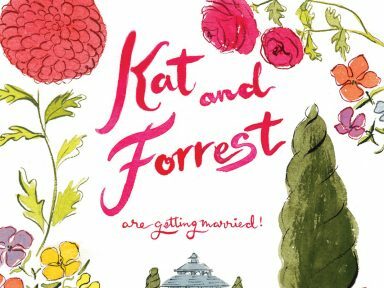 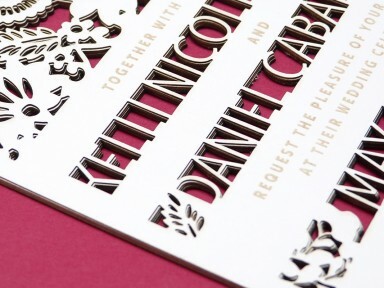 Close up of Brit and Spencer's Save the Date.